The 2019 Toyota Yaris is the ultimate mini-machine that knows how to make a great first impression only to blow those impressions out of the water the more you discover about it. Especially for those who need something small, efficient, and zippy for a crowded urban environment, the 2019 Yaris is a brilliant subcompact car that will save you money at only $15,500 to start, while giving you a stylish and fun ride. This model comes in a sedan or hatchback and has a lot more space than you would expect for its size due to the impressive efficiency of its design. As far as capabilities go though, you may not get all the power you want but you most certainly won’t have trouble fitting into tight spaces or making those tricky turns. You also can’t forget that this is a Toyota vehicle, meaning that it will make sure you are set with the latest tech, especially when it comes to active safety features. At the end of the day, the 2019 Toyota Yaris is clearly no muscular pickup truck that is ready for some off-road adventures, but it is a sensible and energetic choice for those that take on a hectic commuter lifestyle every day and don’t want to break the bank. Perhaps it’s time you upgrade your life, by downgrading in size. The appearance of the 2019 Toyota Yaris can best be described as compact, smart, efficient, modern, and distinctive. You will never find another vehicle quite like it on the road, and it is that exclusivity that grants it such a charming personality. When it comes to the exterior, one of the more dynamic and notable features of the 2019 Yaris is its honeycomb grille that hangs low and makes a bold impression by taking up the majority of the front exterior styling. This grille is only complimented further by the sharp auto on/off LED headlights that help increase style as well as visibility. But, while the front may be the focal point that offers the biggest impression, you will discover that the 2019 Yaris has a stunning appearance no matter what angle you look at it from. For example, the 16-inch split-spoke alloy wheels add a unique, assertive flair, and the heated power mirrors are as efficient as they are an accent that adds to the overall smoothness of the design. There are also plenty of exterior paint options like the bold Chromium gray, vibrant Pulse red, and stunning Sapphire blue, as well as a selection of classy white, blacks, and silvers. With a clean foundation that is elevated with distinctive accents, the 2019 Yaris is a vehicle any driver would be proud to be seen in. As for the interior, it is all about getting comfortable as you let the brilliant amenities and shocking roominess turn your daily commute into a pleasure cruise. The 60/40 split-fold rear seating makes accessing your cargo area an effortless task. This design choice allows drivers to get the most out of the subcompact 2019 Yaris when it comes to utility. All in all, even at the extremely affordable standard level, the 2019 Yaris gives a feeling of relief as you get behind the wheel. That being said, If you want to truly see what the 2019 Yaris has to offer in the way of interior styling, you may have to upgrade a bit in order to get some of the more luxurious options. One style feature you won’t want to miss out on is the Leatherette upholstery with contrast stitching that comes standard with the 2019 Yaris XLE. This gives the cabin a look that is as distinguished on the inside as it is distinctive on the outside. In addition to that, the piano-black accents on the controls with chrome finishing will enhance that refinement even further. Everything about the appearance of the 2019 Toyota Yaris is all its own, and that is something truly impressive in a time where mass production and mass appeal are all that most car manufacturers care about. 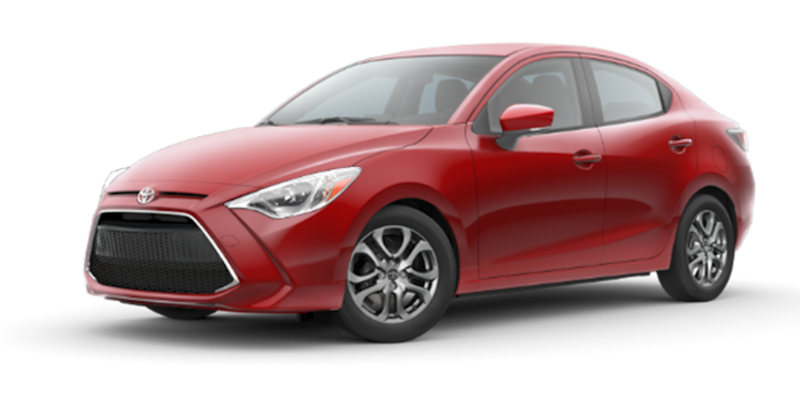 As a subcompact vehicle, the 2019 Toyota Yaris was never meant for the track or for the Colorado hills, but it was designed to expertly handle crowded city streets with grace and efficiency. While compact can mean less powerful in the automotive world it also can mean easy to handle. While behind the wheel of the 2019 Yaris there will be no turn too narrow, no bridge too low, and no parking spot too small. The 2019 Yaris comes standard with a 6-speed manual transmission, but you can opt in favor of the available 6-speed automatic transmission with sport mode. Sport mode is basically designed to change the control parameters to improve handling dynamic and stability to make the ride feel a bit more wild and free if you are into that sort of thrilling enjoyment. The 2019 Toyota Yaris comes with only one engine option that seems to be the best fit possible. This standard engine is a 1.5L 4-cylinder engine with direct fuel injection and dual variable valve timing. This powertrain produces 106 hp and 103 lb-ft of torque and seems to be an excellent commuter for urban drivers. This engine also offers an impressive level of fuel efficiency that has an EPA-estimated rating of 40 mpg highway and 32 mpg if you pair it with the 6-speed automatic transmission. So you will not only be able to save money on the low starting cost but on future fuel and mileage as well. This really shouldn’t be a surprise though considering Toyota is one of the leading automotive manufacturers when it comes to innovation, especially in the categories of safety and fuel efficiency. When all is said and done the 2019 Toyota Yaris may not be a speed demon or beast of the road, but it is the perfect little urban car that will make your life a little more efficient in every way. When it comes to important car features, nothing ranks higher than safety. Toyota vehicles, in particular, are always ready to protect and prevent due to the tireless research done by the brilliant, passionate, and innovative manufacturers. So if you are looking for a vehicle you can trust to keep your drive worry-free, the 2019 Toyota Yaris is an excellent choice. To start, the first thing you need to feel safe and secure in is the quality of your vehicle and making sure it stays at its best. This is why every 2019 Toyota Yaris comes standard with ToyotaCare. This means that every 2019 Yaris includes a maintenance plan that covers normal factory scheduled maintenance for up to two years or 25,000 miles, and 24/7 roadside assistance for two years with no mile limit with no additional cost. While ToyotaCare is an excellent benefit, the 2019 Yaris takes things to the next level with its active safety system. This system works under the idea that the best way to protect drivers from a collision is to make sure they never happen. In order to make sure drivers have the best preventative measures possible, the Toyota Yaris comes standard, yes again without a penny more, with such features as anti-lock brakes, brake assist, electronic brake-force distribution, brake override, dynamic stability control, and traction control. This system ensures that you as a driver will always feel as in control as possible. If all of these are not enough to get your feeling comfortable on the road though, there are a few more safety features you can add on to your 2019 Yaris. Examples of advanced features include a low-speed pre-collision system that scans your environment for possible front impacts and rain-sensing wipers that never fail to keep your visibility at its best. 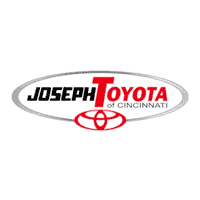 At Joseph Toyota you are never just some driver who wants a car, you are a respected part of our community, and we treat those within our community right. Our inventory is stocked with vehicles that are designed to provide and built to last. No matter what budget you have to work with or the lifestyle you live, we are sure that you can find your perfect vehicle with us. As for our service, you won’t find a more efficient and transparent dealership. We pride ourselves on respecting our drivers and being able to identify your automotive needs. We know how to deliver results quickly, and without any need for tricks or games. We are a dealership that believes your satisfaction is directly our responsibility, and that is why we will do anything in our power to make sure you leave with exactly what you came in for, or maybe even something better. That is just one of the reasons Joseph Toyota will always be a dealership you can trust to provide for our community.